There is just something about brown sugar for which there is no substitute in certain recipes. Brown sugar is made from Sugar Cane, a grass-like crop which is grown in many tropical and sub-tropical areas of the world, especially in the Caribbean. Brown sugar is another item that no kitchen should be without. It's versatility is well reknowned. Besides its obvious uses like sweetening beverages and dishes, it can also be caramelized and used to brown meats, especially when cooking stews. Small brown crystals that have a tendency to dry out and clump together after the packaging is opened. Choosing: Look for brown sugar that is still soft and tender. 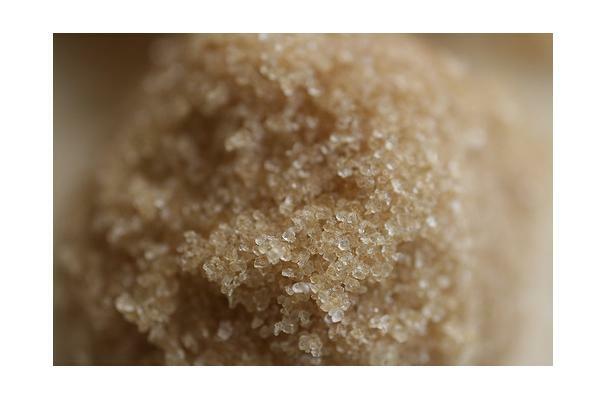 Buying: Look for brown sugar at your local supermarkets or bakers supplies. Sometimes stored brown sugar harden quickly. It is best to soften brown sugar before use. One way of softening hard brown sugar is to seal it in an airtight container with a few slices of apples or a slice of bread. History: In the late 1800s, the newly consolidated refined white sugar industry, which did not have full control over brown sugar production, mounted a smear campaign against brown sugar, reproducing microscopic photographs of harmless but repulsive-looking microbes living in brown sugar. The effort was so successful that by 1900, a best-selling cookbook warned that brown sugar was of inferior quality and was susceptible to infestation by "a minute insect".